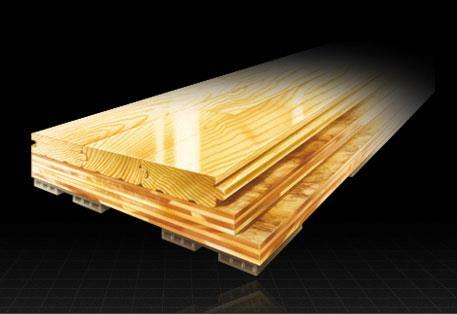 Connor Sports permanent and portable hardwood sports surfaces are engineered with the players and facilities in mind. From basketball courts, volleyball courts, gymnasiums, handball courts, futsal pitches, aerobics & dance floor, Connor Sports offers solutions that work for you. 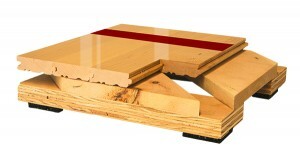 Facility Minded: We are the only sports flooring manufacturer to STEM test our floors. This assures the facility conditions won’t buckle the floor and that the system will stand the test of time…bleachers rolling and players playing. 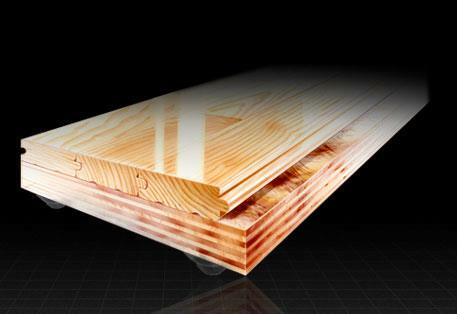 Quality Commitment: We are the only MFMA mill that is ISO certified. This is an assurance to our customer that we will deliver consistent quality. 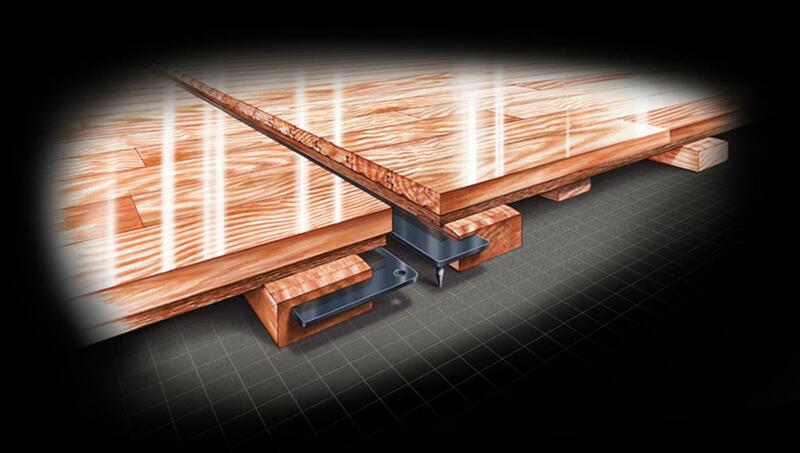 Combines the stabilizing benefits of anchored subfloors and the resiliency of floating systems. The wide arrays of fixed resilient surfaces help fit your particular activities, level of play, budget and facility size. 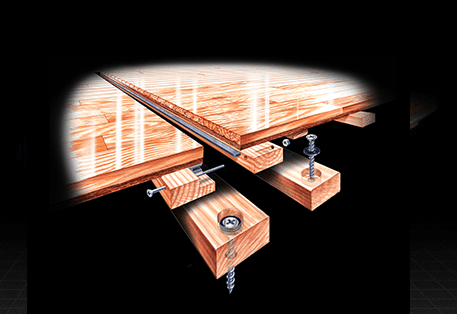 An anchored sports flooring system providing adjustable performance levels, consisting in general of a vapor barrier, pre-manufactured subfloor panels adjusted as specified, anti-squeak collared steel anchors, resilient Rezill pads, maple flooring, sanding, sealers, finishes, game lines and wall base. 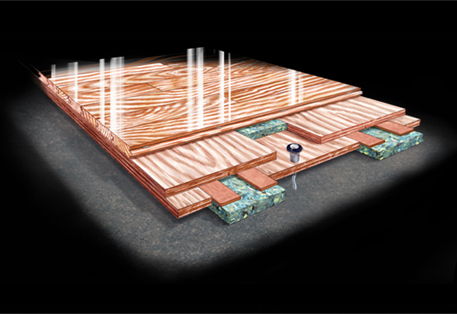 A sports floor system providing the stability of an anchored floor with the uniform resiliency of a floating system, consisting in general of a vapor barrier, resilient Rezill pads, continuous steel channel, steel anchors, wood subflooring, maple flooring, sanding, sealers, finishes, game lines and wall base. 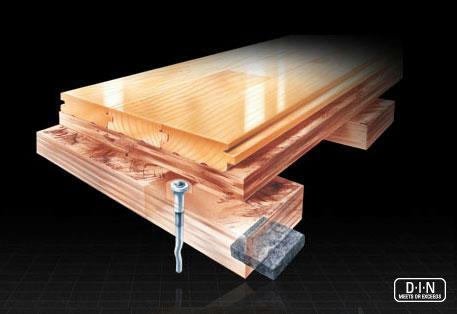 A sports floor system providing the stability of an anchored floor with the uniform resiliency of a floating system, consisting in general of a vapor barrier, blanket pad, steel channel, steel anchors, wood subflooring, maple flooring, sanding, sealers, finishes, game lines and wall base. 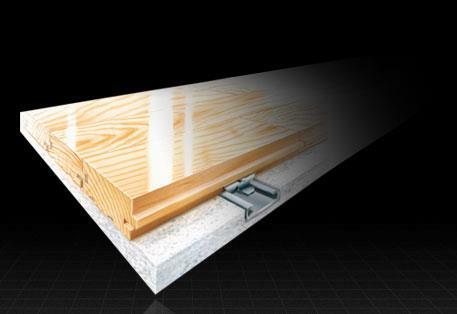 Fixed systems are mechanically fastened to the concrete substrate, providing a stable subfloor system. 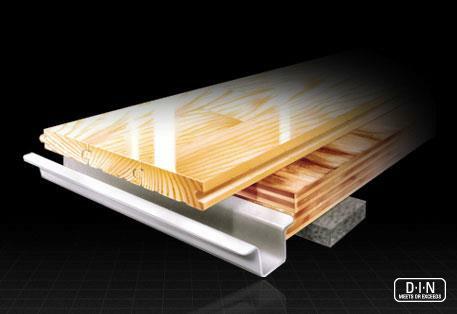 As a result, these systems offer outstanding buckle resistance, but provide minimal resilience. 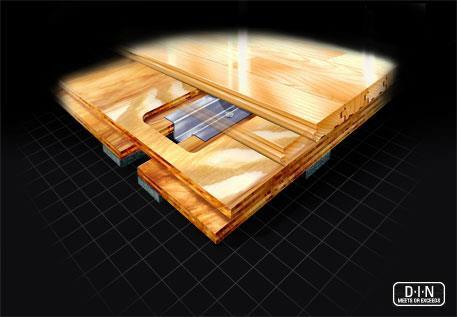 An anchored sports floor system providing stability with fast and quiet play, consisting in general of a vapor barrier, grooved underlayment, steel encased nailers, concrete anchors, maple flooring, sanding, sealers, finishes, game lines, and wall base. 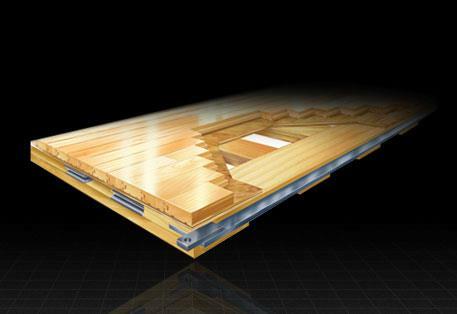 An anchored sports floor system providing great resistance to expansion and buckling. 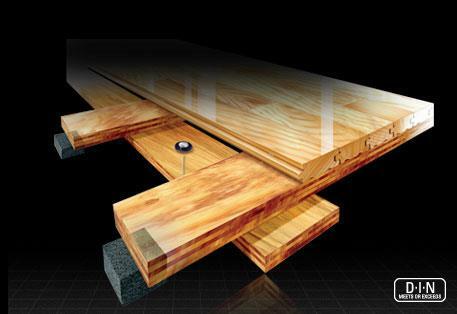 A fast and quiet floor, consisting in general of a vapor barrier, grooved underlayment, steel channels, clips, drivepins, maple flooring, sanding, sealers, finishes, game lines and wall base. Floating systems rest freely without anchorage to a concrete substrate. 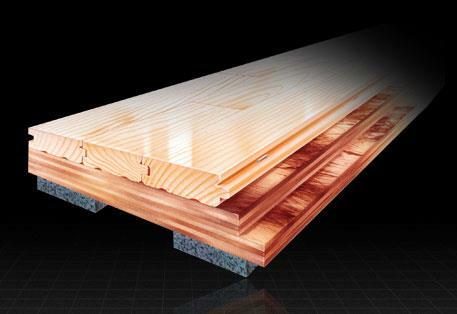 Different combinations of pad and subfloor designs provide varying levels of resiliency. 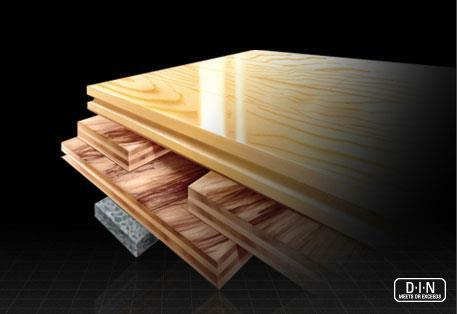 True subfloor components and various elastomeric pads, these system’s key benefits is shock absorption and resiliency, however, they do not provide the stability of fixed resilient systems. 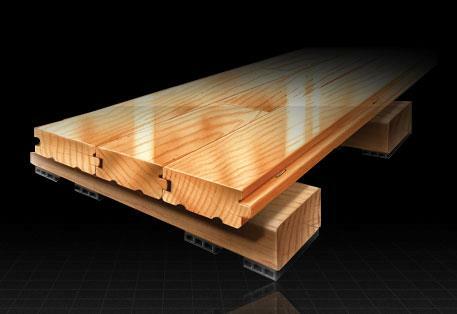 A floating sports floor system providing uniform play consisting in general of a vapor barrier, blanket foam underlayment, two layers nominal 1” x 6” softwood subfloor, maple flooring, sanding, sealers, finishes, game lines and wall base. 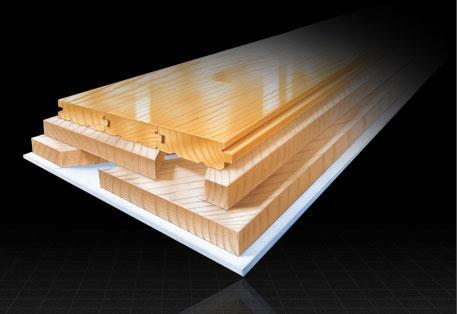 Floating sports floor system providing shock absorption, consisting in general of a vapor barrier, PVC pads, softwood nailers, maple flooring, sanding, sealers, finishes, game lines and wall base. 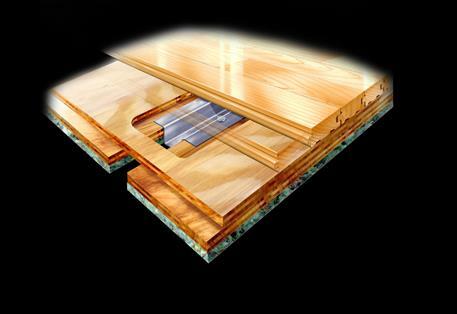 A floating sports floor system ­providing excellent stability and shock absorption with ­uniform high ball rebound, ­consisting in general of a vapor barrier, resilient Rezill pads, steel channel encased base and flex sleepers, ­plywood subfloor, maple flooring, sanding, sealers, finishes, game lines and wall base. 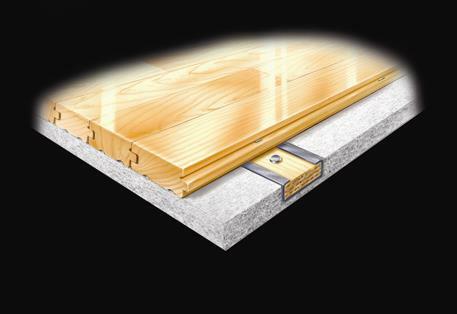 A floating sports floor system providing very good shock absorption and basketball rebound, consisting in general of a vapor barrier, resilient Rezill pads, “Quick Level” adjustment blocks, plywood sleepers, plywood subfloor, maple flooring, sanding, sealers, finishes, game lines and wall base. 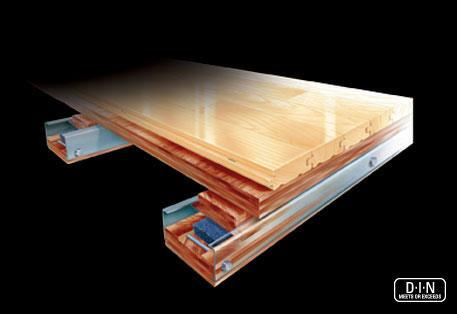 Floating sports floor system providing shock absorption, consisting in general of a vapor barrier, resilient Rezill pads, plywood sleepers, optional plywood subfloor, maple flooring, sanding, sealers, finishes, game lines and wall base. 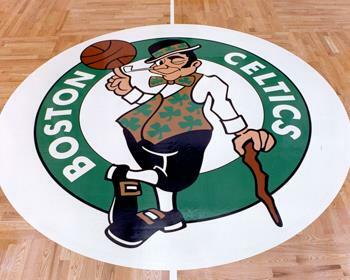 Portable Systems are designed to meet the demands of arenas, convention centers and stadiums looking for portable hardwood sports flooring. 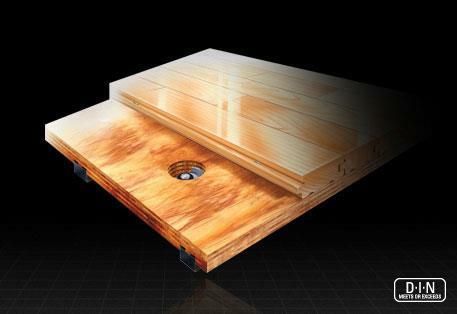 Our QuickLock portable sports floors will provide over 15 years of performance and are designed for frequent install and removal. 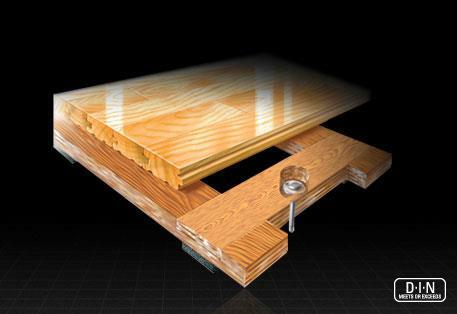 Portable systems come in traditional and zipper floor configurations and pinned and pinless systems. In fact, we work directly with the NBA, NCAA, and FIBA to design and test our system. 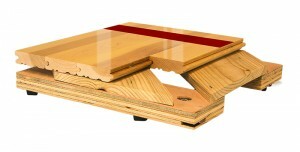 A portable sports floor system incorporating easy alignment and quick assembly. 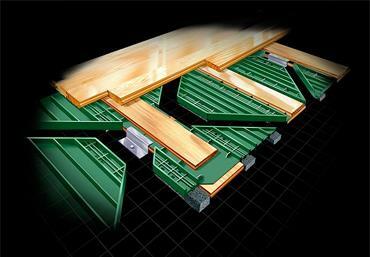 QuickLock features include concealed panel anchorage, laminated sleepers, and interlocking tongue and groove. 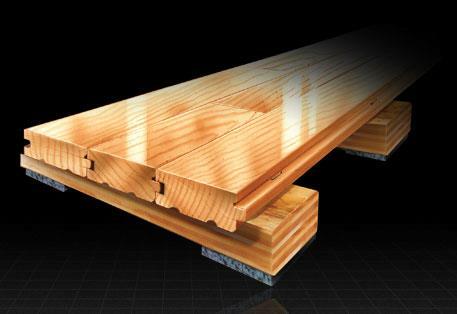 concealed panel anchorage, 2 x 4 pine sleepers and a Hook and Close pinless attachment system. 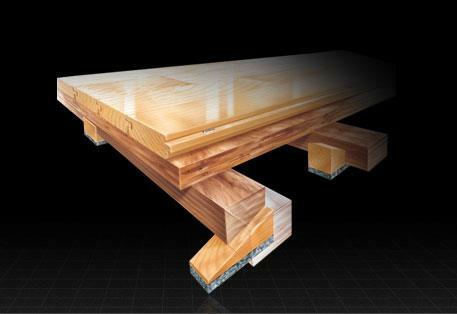 by highly skilled craftsmen to be used for the world’s finest sports floors. 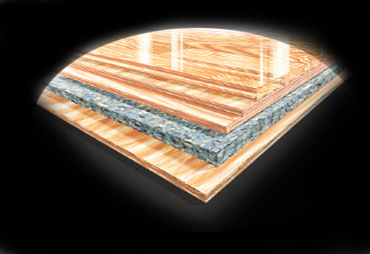 the perfect floor for all your playing surfaces. An Engineered, Anchored Resilient System. 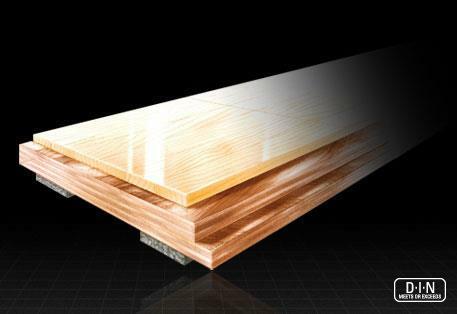 Robbins offers a wide array of Permanent Hardwood Sports Flooring systems for a variety of sports including; basketball courts, volleyball courts, gymnasiums, aerobics & dance floor, cardio & fitness, and more. Each system may be designed to fit your budget, facility, and activity needs.